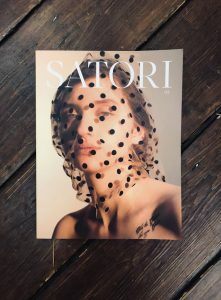 Over the past six months Metro has been working closely with SATORI to offer visual artists the chance to access a tailored Mentorship Award, which will support them with professional development, career direction, and industry insight as well as a chance to have their work published. The twelve-month programme is designed around the needs of the individual and includes creative and conceptual advice, professional and business development, marketing identity and PR, technical experience, plus networking introductions and opportunities. Since applications closed in December 2018 the SATORI team have been reviewing each entry to the award in detail to create a shortlist ahead of a the final selection on Friday 11th Jan 2019. The selection panel includes members from SATORI, Metro Imaging and external industry influencers. Congratulations to all who have been shortlisted, we look forward to announcing the winner via SATORI and Metro Imaging website and social media platforms later on Friday 18th Jan.
Prints ready for collection from 4 hours, or for delivery worldwide. We are able to produce bigger and better C-Type photo prints than anywhere else in the UK. Our photo prints can go up to 120 x 72 inches (3m x 1.8m) in size, giving you a huge choice of sizes when it comes to producing your prints. While all of our colour and black and white photo printing services are of gallery quality, a lot of photographers and artists like to produce their fine art prints on Giclee watercolour paper, using archival pigment inks. We can produce real Silver Gelatin 'Darkroom prints' from your digital files. Working with Ilford, we are able to print directly to Ilford Galerie Silver FB Glossy fibre based bromide photo paper and Ilford Galerie Digital Silver RC Pearl. After your photos have been printed, our mounting team are able to mount the prints on a range of substrates, ranging from the lightweight foamex, foamboard or kapamount. We can also mount ctype photo prints onto more sturdy materials such as dibond or aluminium, backed with either battens or a subframe, depending on print size. When ordering online, we offer a limited range of classic photo frames, in three finishes: white photo frame, smooth black photo frame or a solid light oak frame. Alternately, just order your prints online to take advantage of our great value online ordering system, then contact us to discuss alternate framing styles and our range of thousands of frame mouldings.